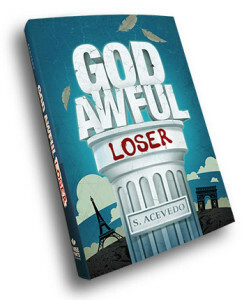 Click here to see God Awful Loser, Book 1 in the God Awful series. 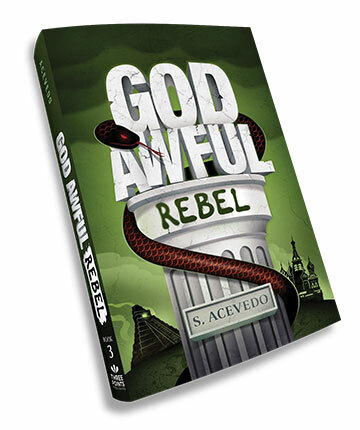 Click here to see God Awful Rebel, Book 3 in the God Awful series. 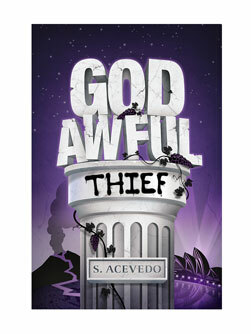 S. Acevedo is a journalist turned novelist. In her 20 years in news, she’s interviewed presidential candidates, covered national and international stories, and given breaking news reports for CNN and local television and radio stations around the country. She also occasionally guest hosts a television morning talk show for the Milwaukee NBC affiliate. 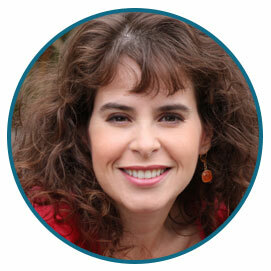 All those years of reporting objective fact enticed her to delve into her imagination in her off time, and so Ms. Acevedo brought fiction -- particularly mythology -- back into her life. When she did, the gods of old pestered her until she relented to write about one in particular. 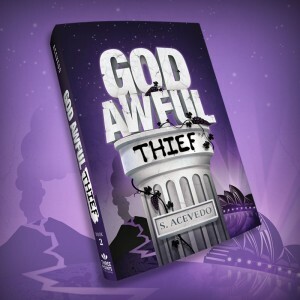 The result is The God Awful Series of Books, beginning with God Awful Loser, followed by God Awful Thief, released in May of 2016.